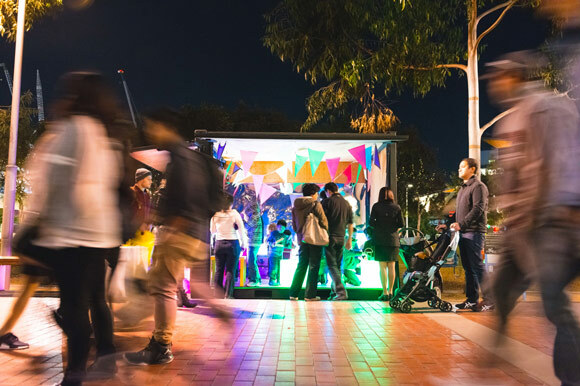 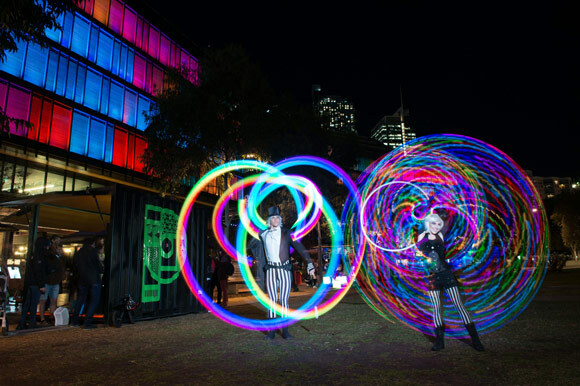 As the winter nights close in and darkness falls, bring the family out to explore the artistic expressions of light, with the interactive installation LIGHT PLAYGROUND on the Village Green at Darling Quarter during Vivid Sydney 2016. 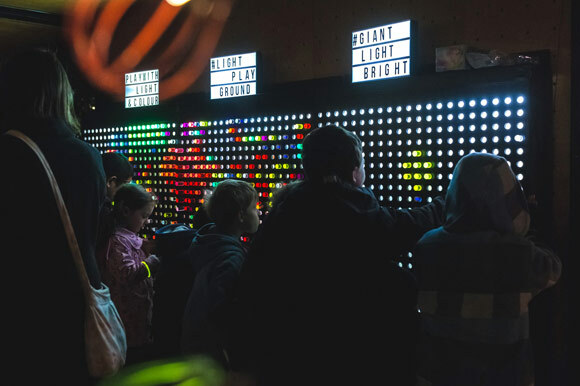 Giant Light Bright – grab a bunch of colourful translucent acrylic pegs and slot them into the over-sized black pegboard that’s backlit by an LED light source – what marvellous combinations of patterns can you create? 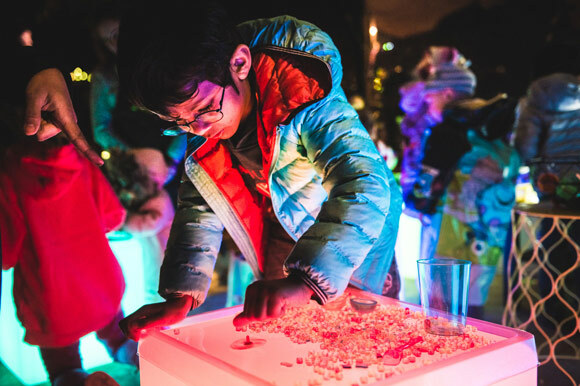 Light Play Table – when everyday objects like sand, water, and building blocks are combined with light, they’re transformed into works of art. 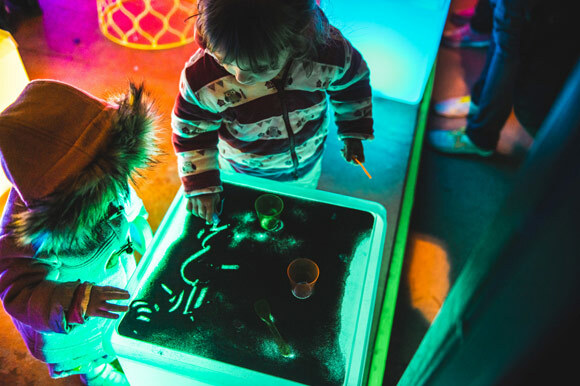 Be prepared to get hands-on in your discovery! 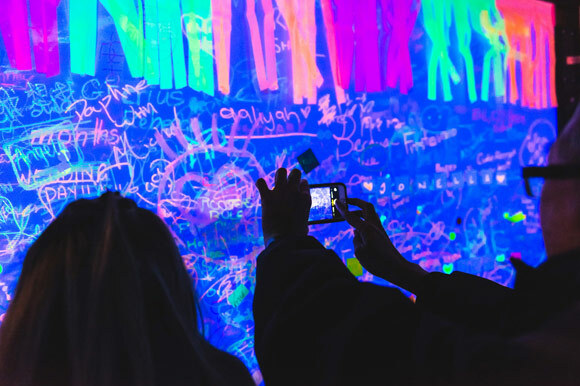 Glow in the Dark Illumination – black light luminescence is on show as families make artworks from items such as Post-It Notes, neon sticker dots and highlighter markers. 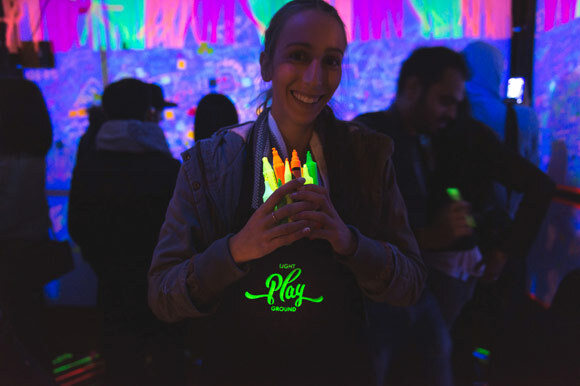 What looks commonplace in the daylight will surprise and delight under the special black lights and photo luminescent vinyl. 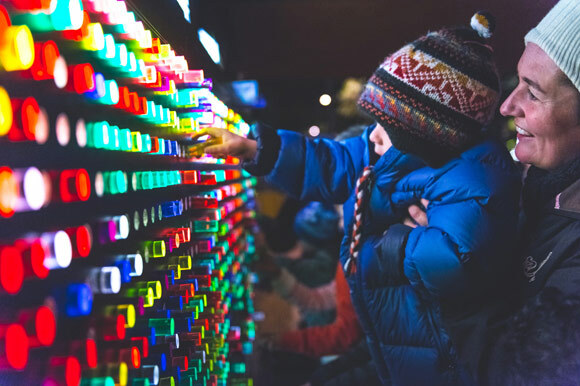 Presented by Darling Quarter, in collaboration with Curiosity Works during Vivid Sydney, LIGHT PLAYGROUND is free to the general public and will flicker to life on Friday 27 May until Sunday 12 June, where it will be activated each Thursday to Sunday from 6pm until 9pm.